On the last two days of February ( for what it is worth the longest February here in Maine in a long, long time...about 48 days this year, I think) the Red Sox began the games in Florida. On Thursday the 27th, they played the annual doubleheader of seven inning games with the college boys, Northeastern and Boston College. The Sox played no favorites by beating each school by a 5-2 score. Among the highlights of the day were two strong innings in the start versus the Huskies by Brandon Workman. The offensive stars were catcher Christian Vazquez with a long home run over the monster in left and a bases clearing double by first baseman Travis Shaw against BC. All three of these youngsters have interesting 2014's ahead. 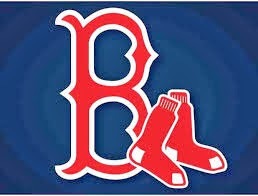 Workman, who based on his 2013 outings with Boston as starter and in the bullpen deserves to be on this team. But with five veteran starters in the rotation and a deep bullpen, if the Red Sox want Workman to be a starter (and at this point I think they do) it is looking like Brandon begins the year at AAA so he can start every fifth day, and be ready to be called up in case of injury or some other need. Vazquez is slated to be the full time catcher at Pawtucket. He, of course, is all ready known for his outstanding arm and in 2013 took a big step forward at the plate. If Vazquez can continue to hit at AAA as he did at Portland, I strongly suspect with two 37 year old receivers slated to play in Boston ( AJ Pierzynski and David Ross), that Christian makes his MLB debut in 2014 and may even be the starting catcher before the year is out in Boston. For Travis Shaw 2014 needs to be a year of redemption after a poor 2013 at Hadlock Field. Shaw did however have an outstanding Arizona Fall League season. He has spent nearly 1 1/2 years at AA, and with a strong spring could make the Opening Day Pawsox lineup and put himself back into real prospect consideration. On the 28th the Red Sox opened the official Grapefruit League schedule by hosting the Twins, in the opening Mayor's Cup game as well. The Sox immediately fell behind 1-0 in the Cup Series with a 8-2 loss to the Twins. The two noteworthy performances again came by two of the kids. Bryce Brentz put one of the Bosox runs on the board with a long home run to center and the starting pitcher was 6'7" Anthony Ranaudo who pitched to six batters in his two inning stint, getting four swinging strikeouts and two tappers back to the mound. Ranaudo threw 24 pitches and 19 were for strikes. Ranaudo erased an injury plagued 2012 by dominated the Eastern League last year in the first half and continuing his strong showing at AAA after his recall. Ranaudo is now on the 40 man roster and with a strong Pawtucket start to his year could move up there with Workman and Allen Webster to be first in line to help the big league rotation. Brentz, who is also on the 40 man now, has prodigious power and with the outfield not the strongest suit, potentially, for the Sox, Brentz could force his way in by mid season or be ready in case of injury ( Mr. Victorino, we are looking a you). As a matter of fact while I feel that Xander Bogaerts, Jackie Bradley Jr. and Will Middlebrooks will all play large roles in Boston in 2014, I predict ( and more on this later this month when the RSM crew makes their official 2014 picks) that at least one other rookie has a big impact. And coincidentally the candidates I have considered likely to help in 2014 are the guys who have shone all ready: Vazquez, Workman ( technically not a rookie anymore), Ranaudo, and Bryce Brentz. * Ryan Dempster and Chris Capuano. Dempster of course shocked Sox Nation right out of the chute, as he reported to Fort Myers just long enough to announce due to neck injury issues and family matters he would not play in 2014 and forfeit his $13.25 million dollar contract. He refused to say he was retiring, but at age 37, it sure seems like it. If it is the end his last pitch was the final out of a Game One WS victory last fall. Not a bad way to go out (not to mention as a World Champ). Two things jumped to mind, first what a classy stand up thing to do by Dempster. It would have been incredibly easy to say his neck hurts, go on the disabled list for the whole year and collect his 13 mil. Secondly from the team's point of view they were nearly at the luxury tax cap limit, and now there is much more flexibility for any future move. My guess would be the Sox pocket the most of the money until nearer the July 31 trade deadline and be able to spend then on a pressing need. The Red Sox did go out and spend 2.25M of the cash on lefty Chris Capuano. A National League starting pitcher his whole career, last year, Capuano pitched out of the Dodgers bullpen on occasion and this is what caught the Red Sox eye. They plan to use Capuano as a long man in the pen and the sixth starter if a spot start comes along. But if an injury occurs to a starter, do not be surprised if Capuano stays in the pen and whoever the hottest starter is in the prospect laden Pawtucket rotation is recalled. The best description I have heard about Capuano's role is he is more of a replacement of Franklin Morales than Ryan Dempster. * Stephen Drew seems to be fading from view for the Red Sox. Now the games beginning could change things, but Boston sure looks committed to Bogaerts at SS and Middlebrooks at third. The Mets seem to be the most interested ( if only lukewarm) in Drew. My guess would be the first team to suffer a shortstop injury( or a complete implosion of performance) will coming knocking on Stephen's door. I still think Pittsburgh could be the place (watch Oakland or Toronto, as well). *The Jackie Bradley, Jr./Grady Sizemore "competition" is underway. Sizemore took a step forward just by being the leadoff hitter in the opening day lineup versus Northeastern. Grady went 0-2 but hit the ball hard twice. He had Friday off but is expected to play today. In Jackie's opening game he batted twice with a single and a walk. I used the quotation marks around competition because I do not really believe it is a true open job. I feel it is Bradley, Jr's to lose, and the Sox want the appearance of a competition so not to look as if they are handing the job to JBJr. Plus, if Sizemore is recovered enough to play after missing two full seasons, playing every day in the wide expanse of center field does not seem an appropriate way to manage Sizemore's health. In a perfect scenario I envision Bradley, Jr. continuing to build on his strong 2013 ( yes, I said strong, do not look just at April in Boston, look at his AAA numbers and September in Boston) and take the centerfield job and if Sizemore comes all the way back ( or damned near it), he becomes the left fielder over the Gomes/Nava platoon. Of course, if Sizemore makes the team someone will not: likely Mike Carp or maybe Daniel Nava. Unless of course an injury changes the 25 man roster complexion. * David Ortiz' desire for an one year extension to his deal is looking more and more likely to happen this spring, as he and his agent have all ready met with ownership in Fort Myers. Look, Papi is the face of this franchise, the leader in the clubhouse ( witness the dugout team meeting in the World Series). More importantly unless Xander Bogaerts skyrockets to immediate power hitting stardom ( and what the hell, he may) Ortiz is the only consistent power/production bat in the middle of the lineup. 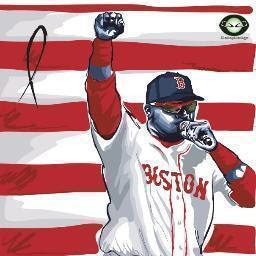 And Ortiz continues to match his career numbers last season going 30/103/.309 versus his average for his 14 full MLB seasons of 3/99/.287. And the man hit over .660 to lead the Sox to the third WS title in Papi's tenure. Give the man another a year at $20 million and let's move on. * Speaking of Xander Bogaerts skyrocketing to prominence in the Sox lineup, the X Factor has so much talent and charisma the Aruban even won the freakin' Jordans Slapshot Shootout during NESN shows during the opening weeks of Florida. Had he even seen a hockey stick before?? God knows what puck means in one of the four languages he is fluent in. Is there anything Xander cannot do ( superpowers....x-ray vision, flying, etc. excluded)? * And while on the subject of NESN, a few notes on that front as well. Jerry Remy is in the Fort as of a day or so ago, and the first NESN game telecast in Sunday March 2 ( tomorrow!). Still no announcement on Jenny Dell's replacement as sideline reporter. It would seem like with the first of 12 Florida games beginning tomorrow the assignment needs to come real soon to give that person some games under their belt. One speculation out there is NESN is considering a male reporter, and one name mentioned is Lou Merloni. I find it hard to believe NESN could pry him away from the ever growing Comcast empire, and equally hard to believe Merloni would be interested, unless the assignment included a number of games per season to fill in for Remy. Chad Finn of the Globe has reported that NESN has made another subtraction from their Red Sox coverage: Peter Gammons will no longer be on the NESN crew. According to Finn, Gammons has all ready began to increase his gigs on the MLB Network. And for those of you who like to read Gammons, he has started a new website GammonsDaily.com. They have columns by Peter and other writers and links to articles around the baseball world. Could one possible studio addition for NESN be Derek Lowe? Lowe filled in a few games late last year for Remy, and showed up on one of the NESN shows from Florida last week as a guest. I think Lowe has definite potential as a commentator. I am so glad the Florida games are here, after waiting all winter for pitchers and catchers reporting day, those two weeks or so of pictures and reports from the Fort but no actual games get old pretty quickly. The Sox unveiled their replacements (that's right, it is plural) for Jenny Dell at the start of their game today in Ft. Myers. Jenny's shoes are so big to fill that they didn't want to put all of that pressure on one reporter...SO...they had to hire two to take her place. The bigger question is: How in the world did NESN keep this a secret for so long? Was it Jenny's shoes that were so big they had to be filled by two reporters? The two new reporters are Sara Davis. Who was hired away from a hockey station in Toronto, Canada. The other is Elle Duncan, who has an interesting history in Atlanta Georgia. Google her and you'll see what I mean.